The snow is melting and we're looking forward to preparing for the season with you all on April 6th. Come learn from and add to our wonderful knowledgeable and supportive community! Even though the market's not popping up in the street on Saturdays right now, as the snow falls outside, our board and staff are working hard behind the scenes to prepare for 2019. What would you like to see at the market next year? 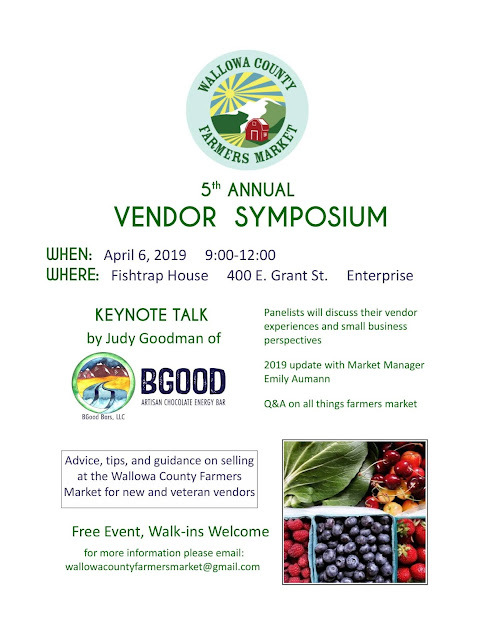 What do you love about the Wallowa County Farmers' Market? We have some ideas we'd like to implement, and we take your feedback seriously so let us know what you think! 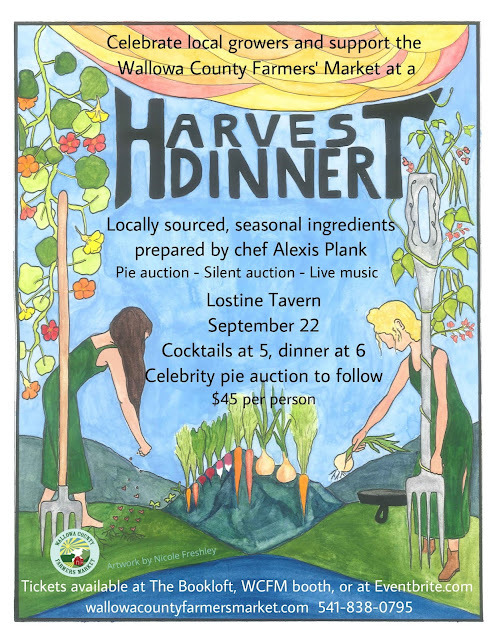 We're gearing up for our inaugural Harvest Dinner! Get your tickets while they last at The Bookloft, the Manager booth on Saturdays, or at https://www.eventbrite.com/e/harvest-dinner-tickets-49973709711.